The Christmas Week, by Henry Louis Stephens, circa 1863. 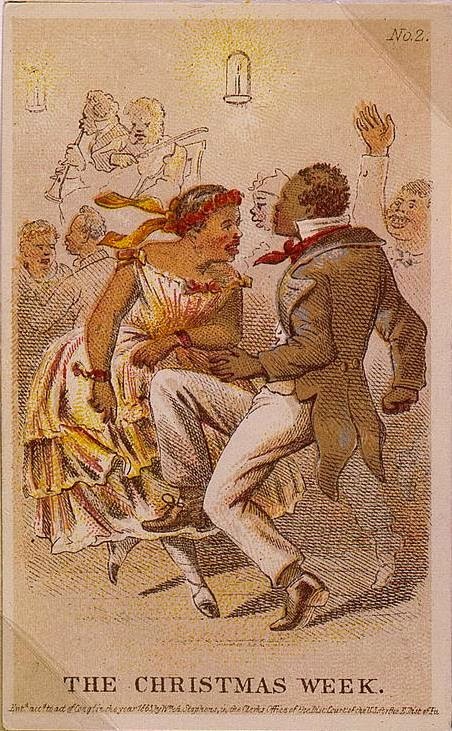 Philadelphia artist Henry Louis Stephens produced a series of Civil War period cards that “illustrated the journey of a slave from plantation life to the struggle for liberty, for which he gives his life, as a Union soldier during the Civil War.” This card above shows slaves reveling in the Christmas holidays, when many slaves were given time off from labor. Malinda’s mother was free, and lived in Bedford, about a quarter of a mile from her daughter; and we often met and passed off the time pleasantly. Agreeable to promise, on one Saturday evening, I called to see Malinda, at her mother’s residence, with an intention of letting her know my mind upon the subject of marriage. It was a very bright moonlight night; the dear girl was standing in the door, anxiously waiting my arrival. As I approached the door she caught my hand with an affectionate smile, and bid me welcome to her mother’s fireside. After having broached the subject of marriage, I informed her of the difficulties which I conceived to be in the way of our marriage; and that I could never engage myself to marry any girl only on certain conditions; near as I can recollect the substance of our conversation upon the subject, it was, that I was religiously inclined; that I intended to try to comply with the requisitions of the gospel, both theoretically and practically through life. Also that I was decided on becoming a free man before I died; and that I expected to get free by running away, and going to Canada, under the British Government. Agreement on those two cardinal questions I made my test for marriage. After I found that Malinda was right upon these all important questions, and that she truly loved me well enough to make me an affectionate wife, I made proposals for marriage… (eventually we) entered upon a conditional contract of matrimony, viz: that we would marry if our minds should not change within one year; that after marriage we would change our former course and live a pious life; and that we would embrace the earliest opportunity of running away to Canada for our liberty. Clasping each other by the hand, pledging our sacred honor that we would be true, we called on high heaven to witness the rectitude of our purpose. There was nothing that could be more binding upon us as slaves than this; for marriage among American slaves, is disregarded by the laws of this country. It is counted a mere temporary matter; it is a union which may be continued or broken off with or without the consent of a slaveholder, whether he is a priest or a libertine. 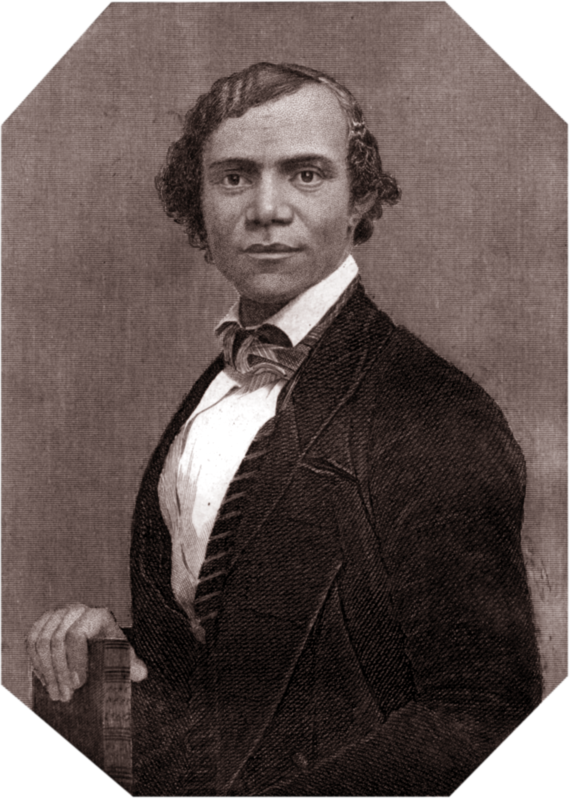 There is no legal marriage among the slaves of the South; I never saw nor heard of such a thing in my life, and I have been through seven of the slave states. A slave marrying according to law, is a thing unknown in the history of American Slavery. And be it known to the disgrace of our country that every slaveholder, who is the keeper of a number of slaves of both sexes, is also the keeper of a house or houses of ill-fame. 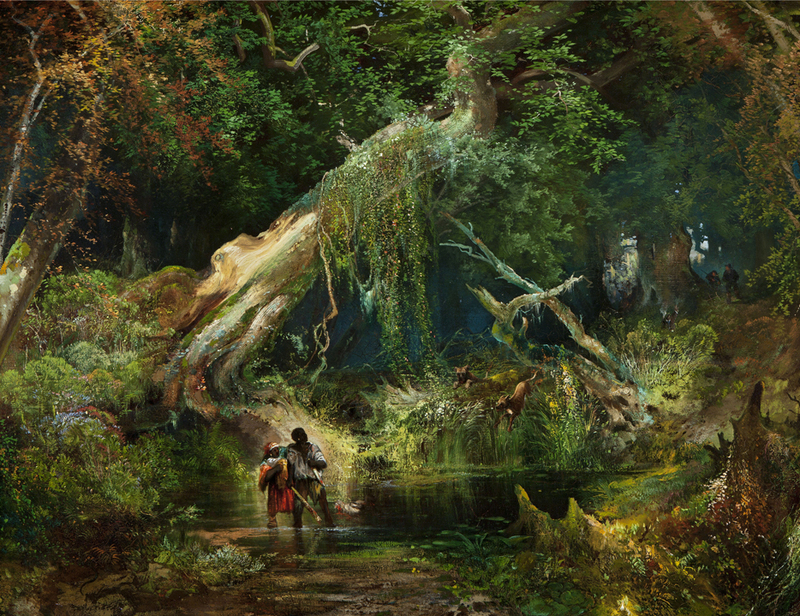 Licentious white men, can and do, enter at night or day the lodging places of slaves; break up the bonds of affection in families; destroy all their domestic and social union for life; and the laws of the country afford them no protection. 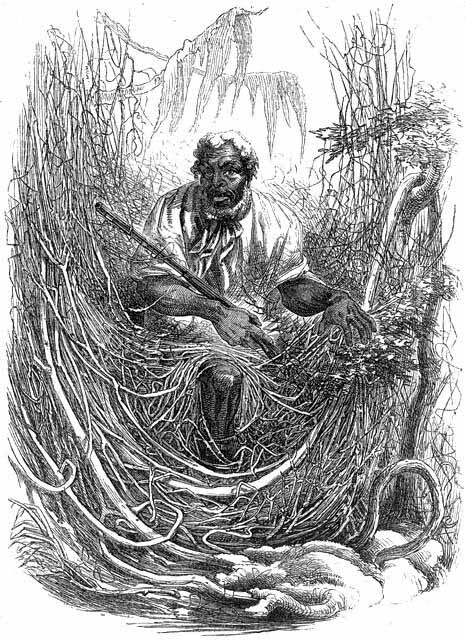 Will any man count, if they can be counted, the churches of Maryland, Kentucky, and Virginia, which have slaves connected with them, living in an open state of adultery, never having been married according to the laws of the State, and yet regular members of these various denominations, but more especially the Baptist and Methodist churches? And I hazard nothing in saying that this state of things exists to a very wide extent in the above states. Cropped photograph of Wisconsin Union soldiers who helped a runaway teenager from Kentucky escape to freedom in 1862. This is titled “Jesse L. Berch, quartermaster sergeant, 22 Wisconsin Regiment of Racine, Wis. [and] Frank M. Rockwell, postmaster 22 Wisconsin of Geneva, Wis.” in the Library of Congress photograph collection. The story behind the picture is provided at the Oxford African American Studies Center website. 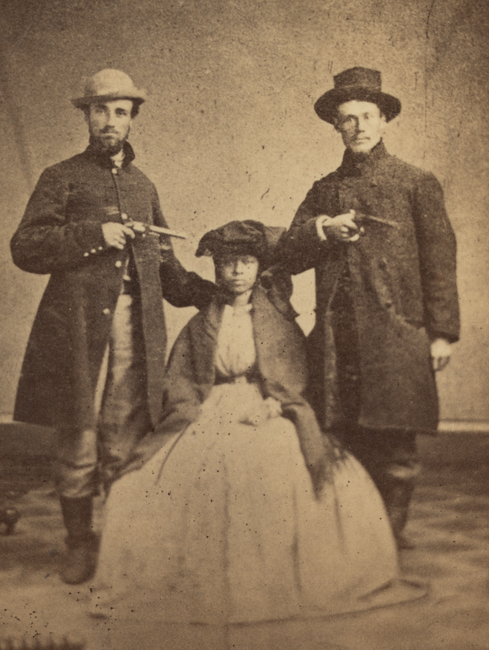 The two men in the photograph were part of Wisconsin’s 22nd Infantry Regiment, which was “composed of numerous sympathizers to the abolitionist cause.” They escorted the young woman in the picture from Nicholasville, Kentucky, to the home of Levi Coffin, an Underground Railroad operator in Cincinnati, Ohio, disguising her as a “mulatto soldier boy.” The picture was taken in Cincinnati. The young woman, whose name is not identified, was eventually sent to Racine, Wisconsin. An expanded version of the story is below the fold. I want to offer a hat tip to Deborah Willis and Barbara Krauthhamer for highlighting this interesting image in their book Envisioning Emancipation: Black Americans and the End of Slavery. 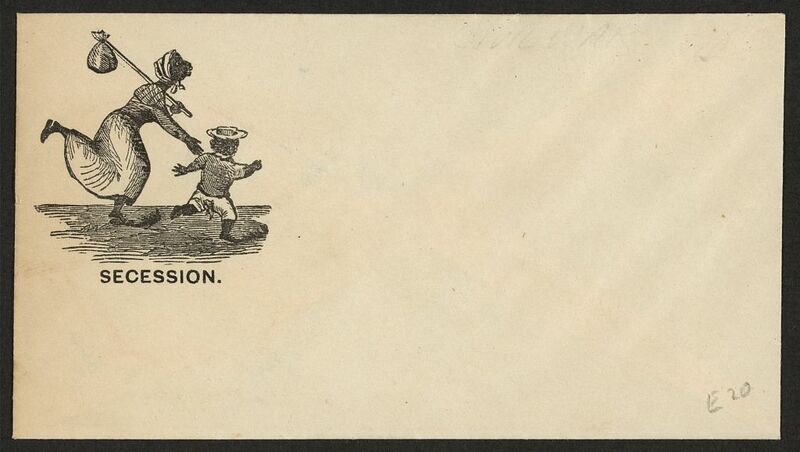 Phony or For Real: The Confederate Colonel or the Boss N*****? OK, both, or one, or neither of the following movie trailers is fake. Can you guess which is phony and which is for real?